Although mobile data and Wi-Fi are easier to come by than ever, there are still times (on vacation or at the end of the month) when you're hanging in there waiting for data and in need of an app that works offline. In other cases, it might be a matter of privacy. On Android there are loads of great apps that function quite well offline. Here are the best offline Android apps, now updated with new picks for our favorite offline notes and podcast apps. Using the old version of Google Maps offline was a little awkward, but since its most recent update, this functionality is better than ever. It's easy to download a by visiting the Offline areas tab in the settings menu. 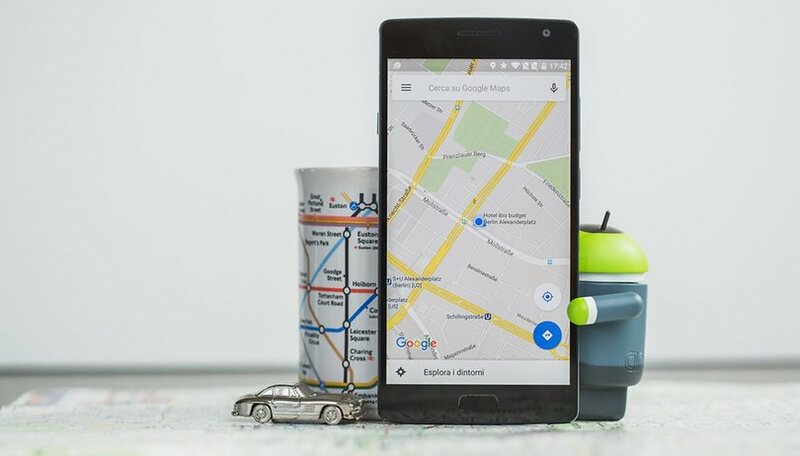 From there you can download full city maps, including Google's excellent navigation system, for use without internet. The best part of all, any maps downloaded in your offline areas will be automatically removed after 30 days, so there's no need to worry about unused maps taking up storage space unnecessarily. If you're like me, you read a ton of news from many different sources. The FeedMe RSS reader app gives you everything you need to digest all the latest events and analysis while offline. This app lets you pull from many sources from Feedly, InoReader, Bazqux, The Older Reader, Feedbin and is currently expanding to more. If you pull up Feedly from the FeedMe app, you'll get a streamlined version of the normal Feedly app with an important component: offline capabilities. So you can put all your news on your device from your Wi-Fi before you head out then jump offline and read that news when you're out-and-about. This will surely save you some data. Plus, you can save articles to Pocket or Evernote with one tap. There is no such thing as a truly offline weather app. Like the other apps on our list, you need to use AccuWeather online at some point. However, AccuWeather wins our favor for this list because it provides an accurate 15-day forecast, which means that even if you are without internet for two weeks, you should still have some indication of whether you need a sombrero or a ski mask for your trip outside. What's more, it does so in an intuitive package which takes just seconds to get to grips with. eBook reader apps make excellent offline apps because they can keep you occupied for hours without needing to reconnect to the internet. Kindle is one of the best, not just because it gives you quick access to thousands of digital books, but also because it comes with all of the options you need for an excellent reading experience. Buy a book (or pick up a free one), download it to your device, and then you can happily read it without ever connecting it to the internet again. Google Play Books is a similar alternative, but the occasional syncing problems I've experienced means it's my second choice. TripAdvisor is the rightful king of travel apps. Supported by a thriving community, it offers reviews, photos and feedback from fellow travelers, then ranks attractions and activities based on what those people say. TripAdvisor used to have dedicated City Guides which could be downloaded externally, but now all of this functionality is baked into the one app, including offline access to reviews, maps and photos of more than 300 cities. If you’re travelling, you shouldn’t be without TripAdvisor Hotels Flights. No, we haven't gone mad. Despite Google Drive being one of the leading cloud storage services in the world (i.e. storing all your files online), it also lets you download files and documents to your device. You can then work on these files offline, and they sync straight back up into the cloud when you get internet again. To do this, tap the 'i' or Options icon of a file in Google Drive, then tap the switch next to Keep on Device. You can do this to as many files as you like, and Google Drive will let you work on them away from the cloud. Pocket is one of the most popular offline reading apps on the Play Store. You can use it to download articles, videos, and other content you find online to your device, then read it offline later. You simply click on the share button on the article you want to save and select Pocket to read it later. It has a beautifully designed interface and is a great way to make sure you don't miss out on content that you didn't manage to finish reading or watching the first time round. If you're in a foreign country and don't speak the language, it's crucial that you have a means of communicating with locals. Offline Dictionaries is a free Android app that sets itself apart from the others thanks to its large database of synonyms and support for more than 50 languages. Upon launching the app, you download all the languages you'll want to refer to, then refer to the app freely without having to worry about internet connectivity. Google Translate is one of the easiest-to-use and most effective translators out there. You can speak or type into Google Translate to get things translated into more than 90 languages. These key features are available offline, so long as you download the languages you're looking to translate between. You can save your translations as well, so you can refer back to them later. Not only does the Spotify app give you access to millions of tracks, but you can set it to sync your playlists in the background, meaning all your music is automatically available when you’re offline. What’s more, it’s easy to assign all of that music to a microSD card if you don’t want it taking up space in your phone’s internal storage. The premium subscription to Spotify will cost you US$9.99 per month, but it's one of the coolest services around. There's nothing better than saving a couple of albums to your device while using the airport cafe Wi-Fi just before a flight. You may associate podcasts with online streaming, but you can also download all your favorite podcasts, giving you endless hours of listening pleasure. Stitcher is one of the best apps for doing this, letting you search for hundreds of thousands of podcasts across the internet, then downloading them to your device. Stitcher allows you to automate downloads from your subscriptions so that, once you've decided what you want to be listening to, episodes will be downloaded in the background whenever you have access to Wi-Fi (or mobile data, if you're OK with that). The closest you can get to a trusty pen-and-paper duo on Android is a good offline note-taking app. There are plenty out there; indeed, we have a dedicated best note-taking apps list, but my personal favorite is Google Keep. It's a great tool for keeping track of all your to-do lists and various things to remember, and it's been a popular app for ages because of its simplicity. It works offline and when you reconnect to the internet, it syncs to the cloud, as long as the option is enabled (Settings > General > Accounts > Google > Email > Enable sync Keep). What other Android apps are good to use offline? What do you think are the best ones? Share your top picks in the comments. Setting the update to auto in maps is a huge time saver. The Barnes & Noble Nook app has a far superior interface to either Kindle or Google Books. There are also no sync problems. For reading graphic novels or manga, I suggest Comixology. They are owned by Amazon, but that interface is also better than that of the kindle app. The only part of this page that didn't have something in the way of the text is the comment section. The article had the blue share bar in the flippin way. I suppose I should be thankful there wasn't a 2 inch high banner bar at the top. It's best to see the whole list of offline apps which works without internet. Thanks for the awesome one, which is useful. You can actually try and use Inshorts app for best offline news app because once the articles are downloaded you can read them at anytime and most importantly they are cut down to 60 words. Good list overall but seems to be blind loyalty to Google Maps by writers here - I use OsmAnd for much larger and more detailed OFFLINE maps than Google's, that don't "expire" and delete themselves every six weeks, leaving you stranded with 5MBps download speed at a hotel. I would look at Here maps if not for the learning curve for any map/nav app. I use the Kindle app for Kindle ecosystem and public domain *.mobi format but Moon+ is the better interface for other formats and Xodo for PDF, since it's functional with forms and highlighting, (though Acrobat and Foxit offer some extras some users might like). Nice list! I prefer fb reader to the Kindle App though. "Best offline map app: Google Maps"
HERE maps is much better, you can download entire countries for offline use. Great list. Very good selection of highly capable offline apps. As for music apps Youzeek is similar to Spotify or Deezer for about £18 per year. For audiobooks or ebooks Overdrive is great and completely free. Offline Android apps are the best! They make your life easier and more secure because you can still use those essentials apps even without a data or wifi. best offline music player is poweramp and not spotify. Who and another used Kiwix ? Tried using Google Maps for the first time on my new Note 4, today. I was a bit stumped when it refused to work because it was offline. I'd just switched from a Windows phone with HERE Maps as the default map app, which worked just fine offline, and I started to miss it a little. I guess I can go fiddle with Google Maps settings now, but at the time, being a cheap bugger on pay-as-you-go and in a hurry, it was a touch inconvenient. You have to download offline maps in Google Maps for it to work. I use it and it's pretty useful.